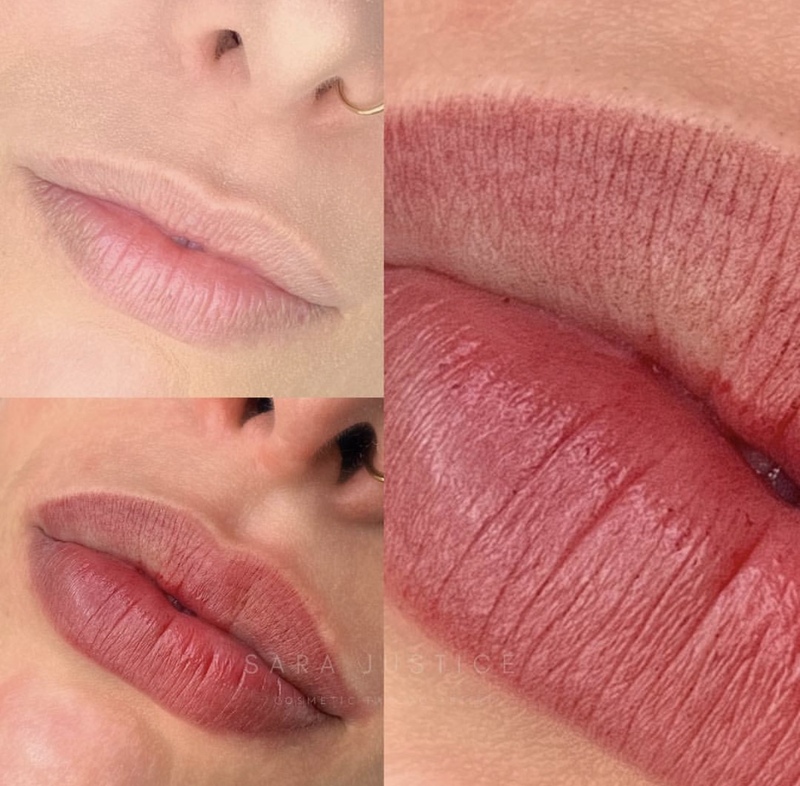 You can now go up to two years without applying lipstick. 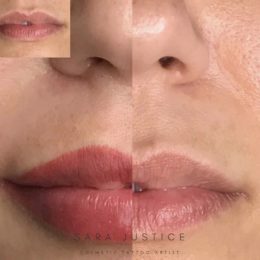 In our youth lips are soft, full, and have a beautiful natural tone. As the aging process begins, we start to lose the shape, contour, fullness, and color of our lips. Permanent lipstick can enhance your current lip shape and color. 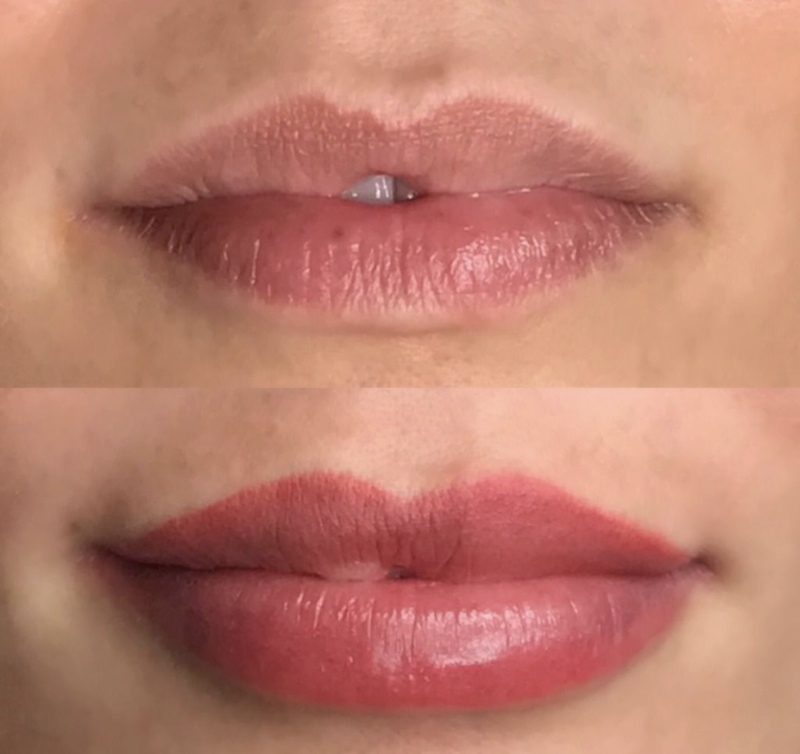 We can re-shape lips, increase their visual size, and adjust the shade. 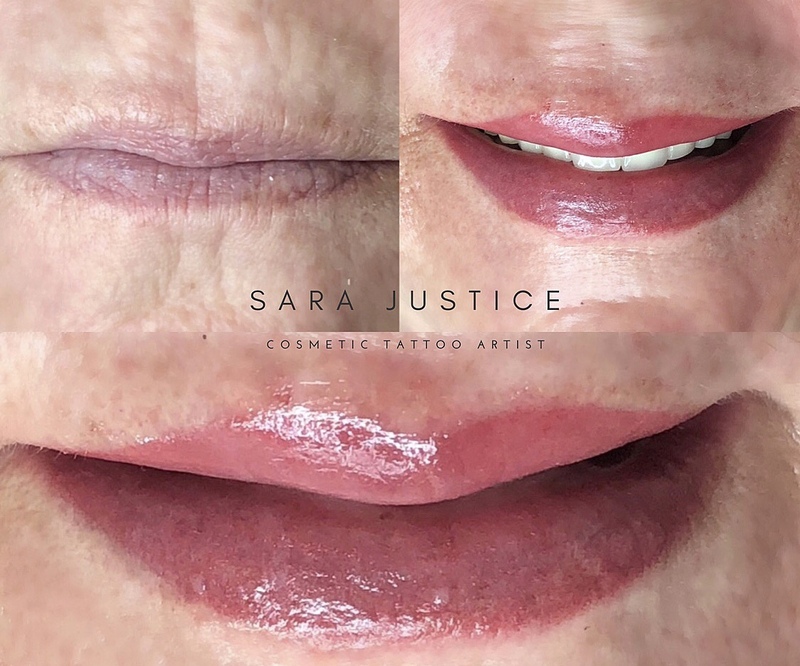 Through permanent makeup, we can create a more harmonious and balanced face. 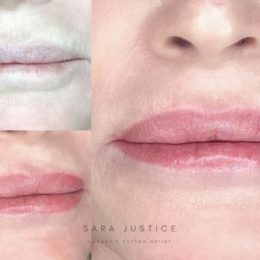 It is the perfect way to enhance lips that are thin, uneven, or have lost shape, color, and fullness with age. 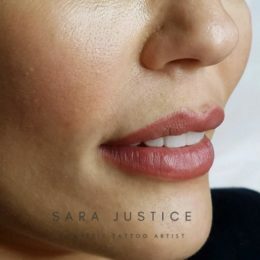 We select a permanent lip color from a range of beautiful pigments for a gorgeous, natural, soft lip tailored for you. 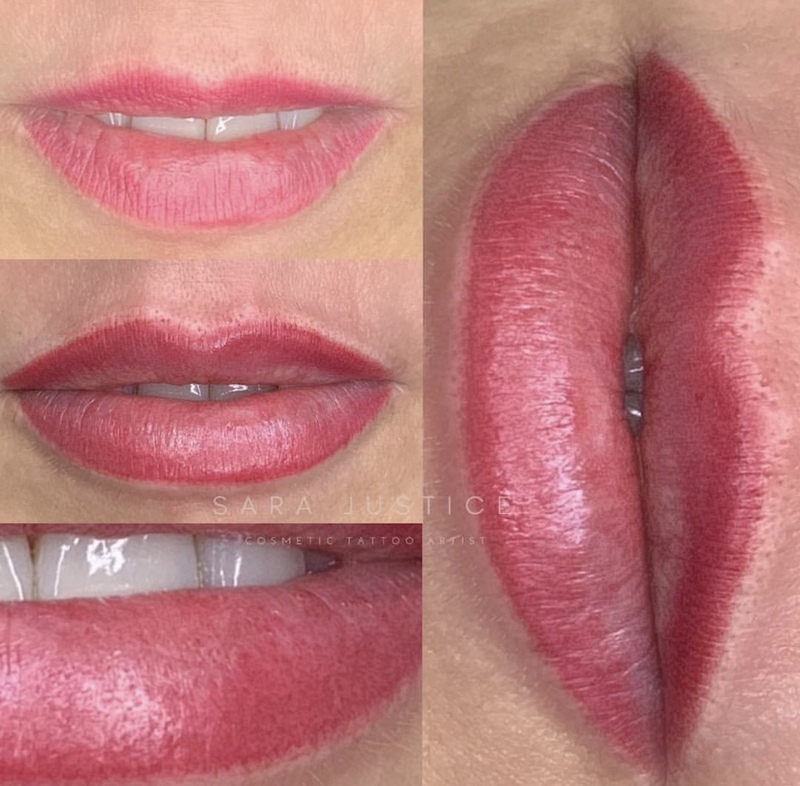 Does it hurt to get permanent lipstick? 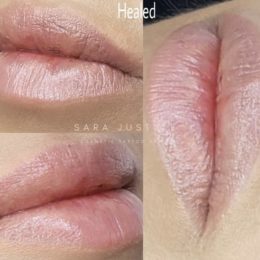 Our lips are sensitive. 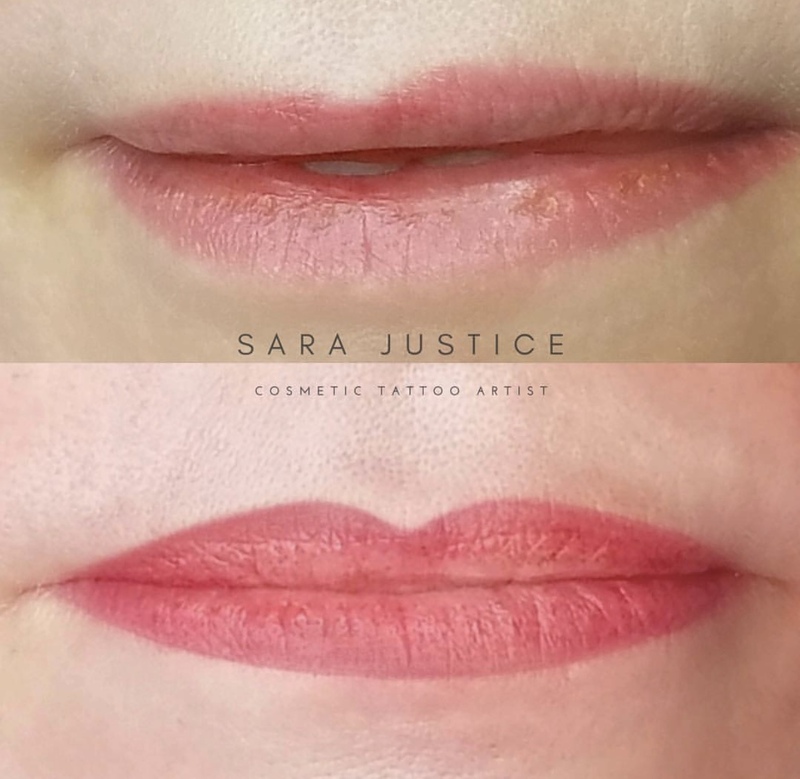 A cosmetic lip tattoo would hurt without an anesthetic. 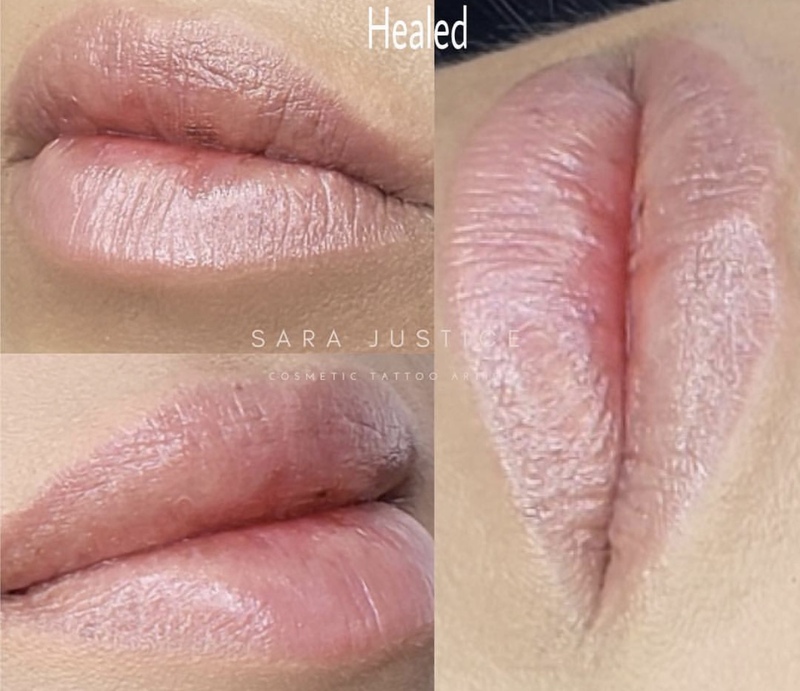 Fortunately, we have a highly-effective cream and gel to keep away the pain. 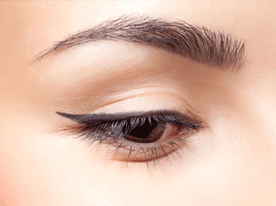 Fear of the discomfort needlessly keeps people from getting the procedure. 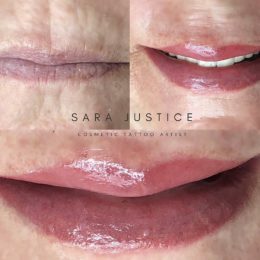 We make every effort to ensure that our clients are comfortable as we help them look beautiful. 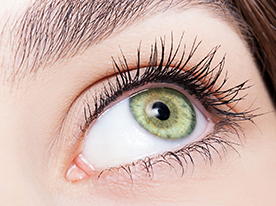 Learn more on the Frequently Asked Questions page. Permanent makeup goes on the skin. 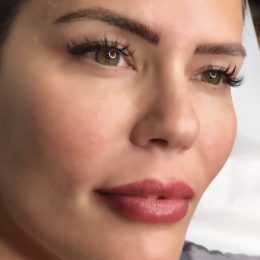 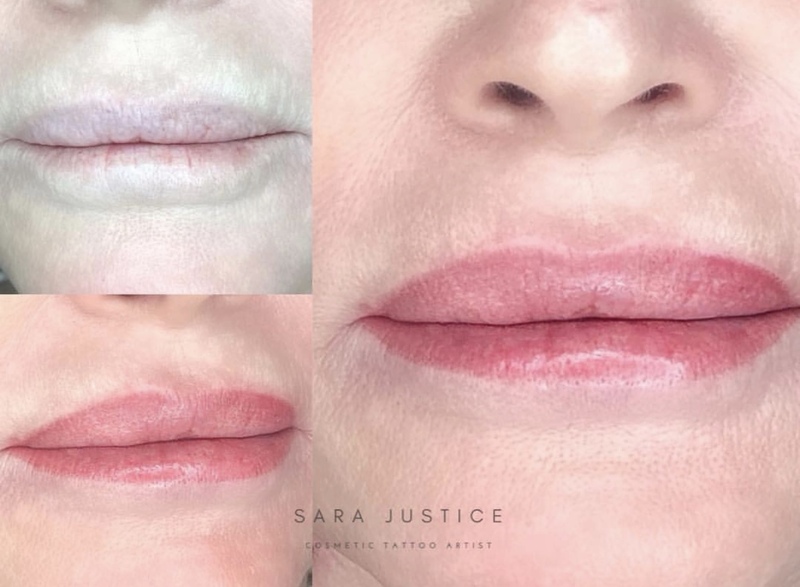 Lip fillers are injections into the skin. 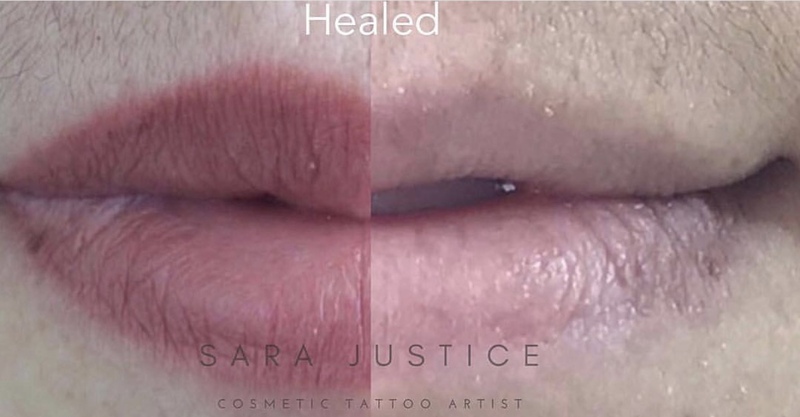 While both treatments are semi-permanent, the tattoo lasts twice as long. 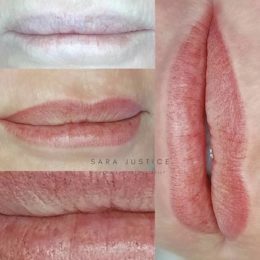 We can also give the appearance of fuller lips. 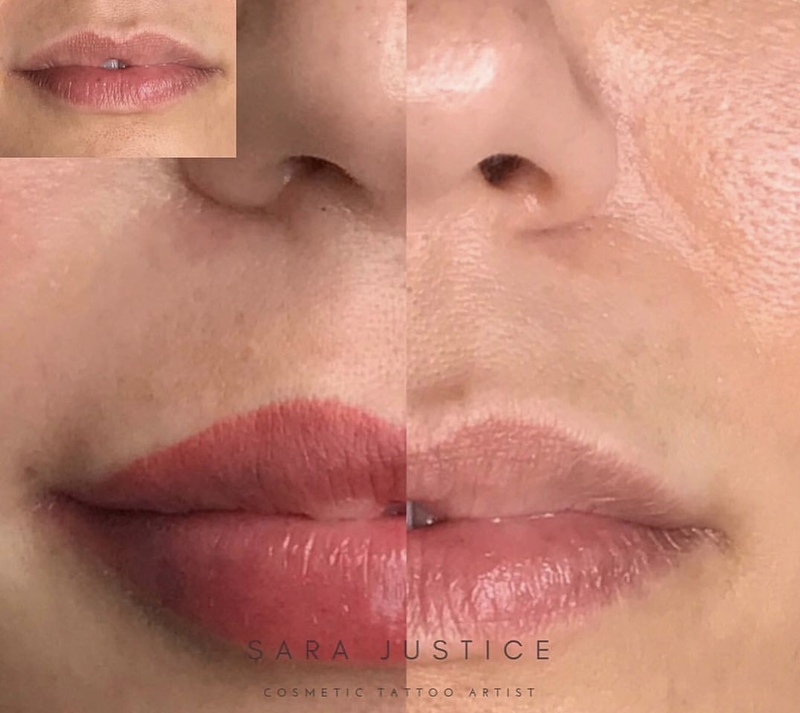 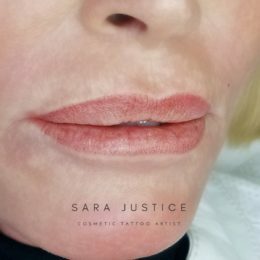 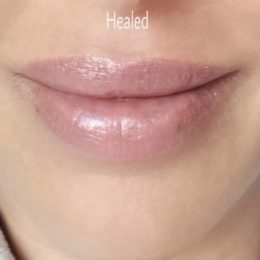 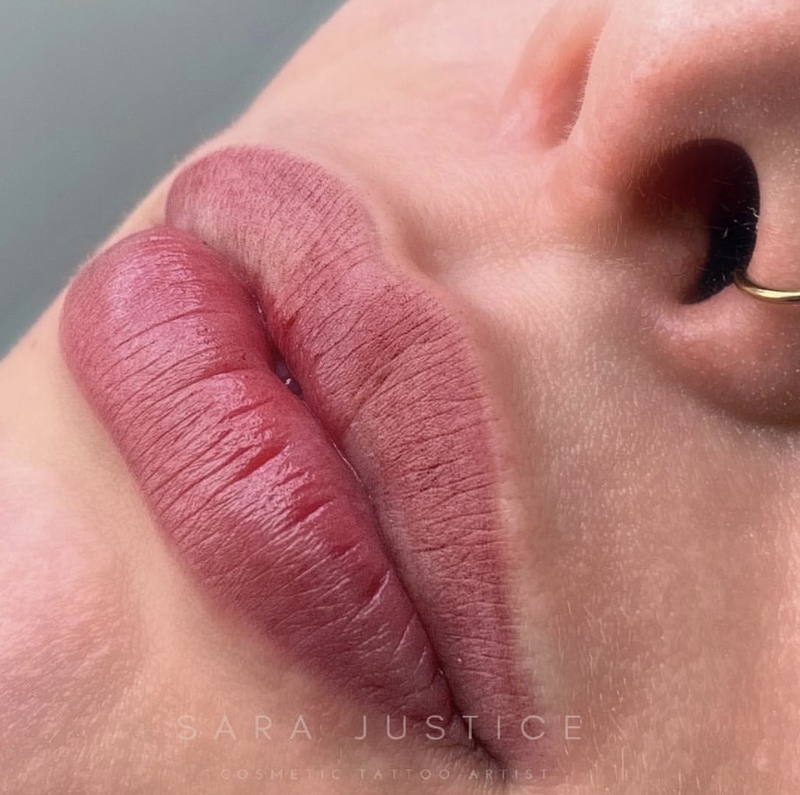 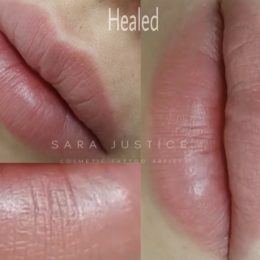 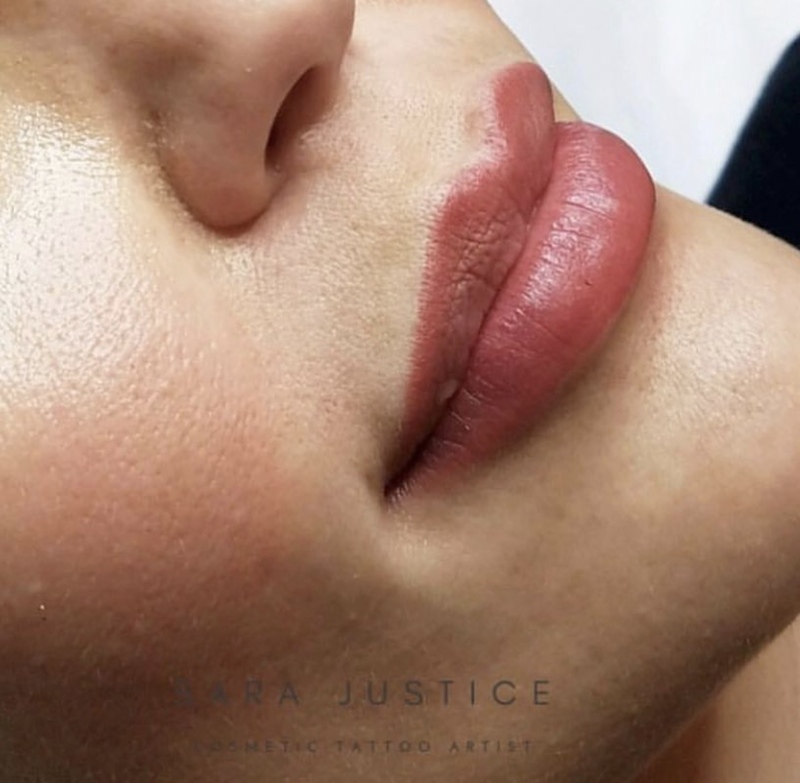 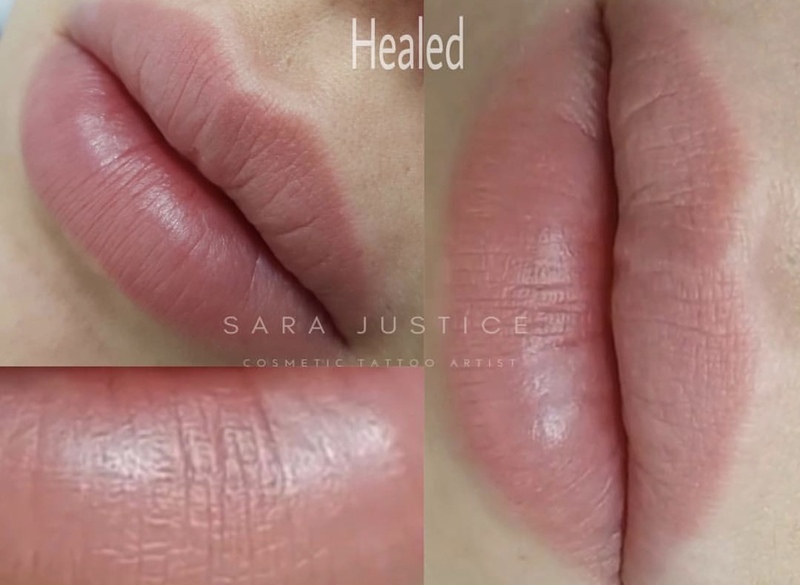 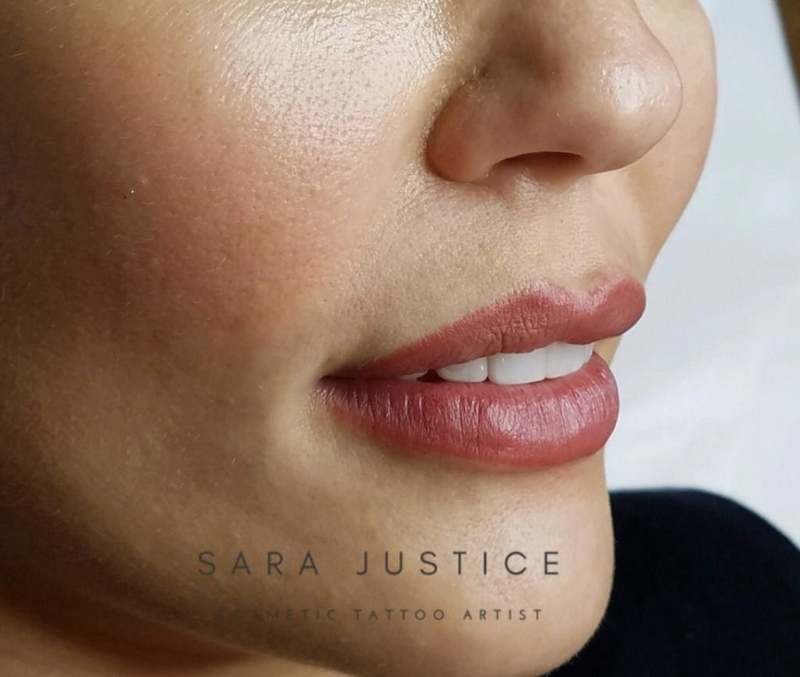 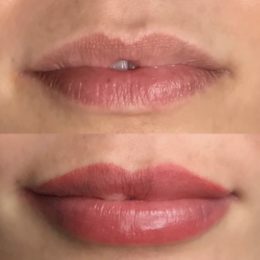 In this way, a cosmetic lip tattoo can replace lip fillers completely. 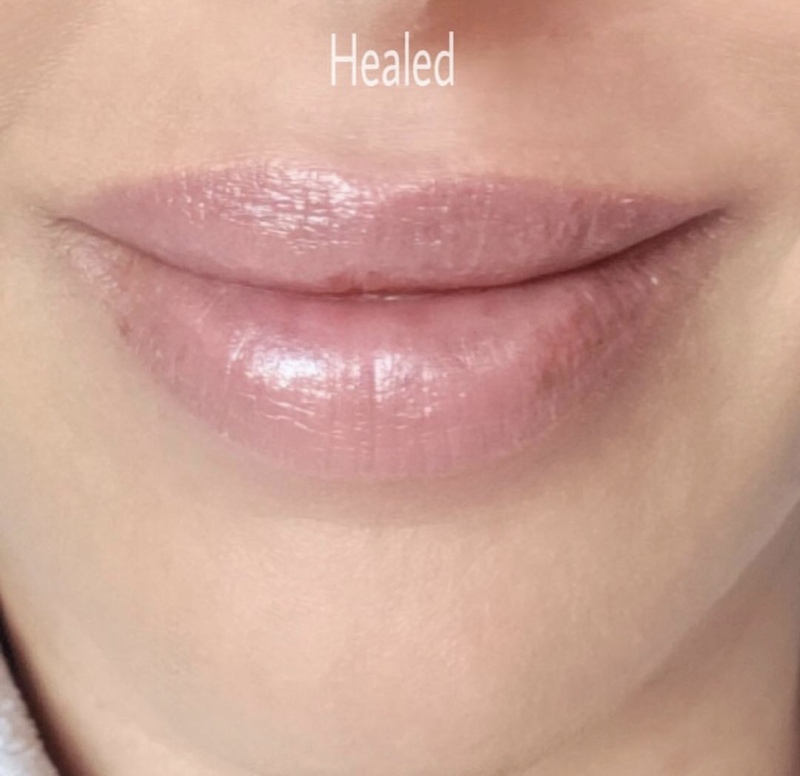 We do not need to think of them as alternatives though. Permanent lipstick can enhance lips that have been filled out with lip injections. 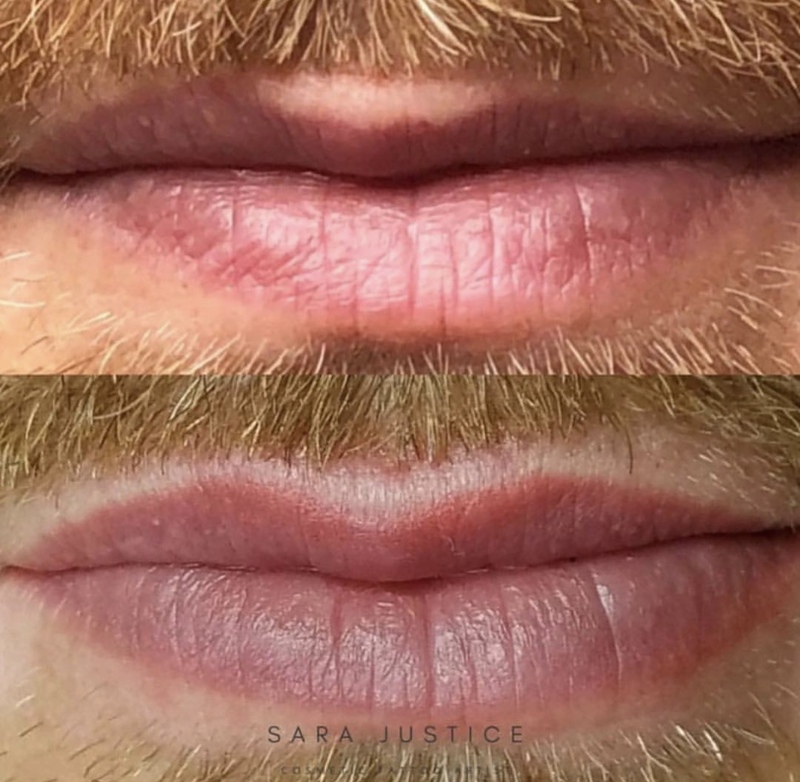 You may consider both if fuller / more beautiful lips are your objectives. 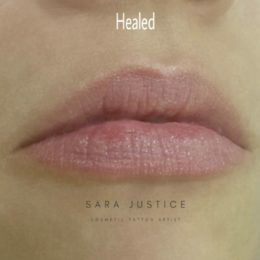 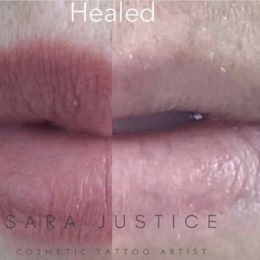 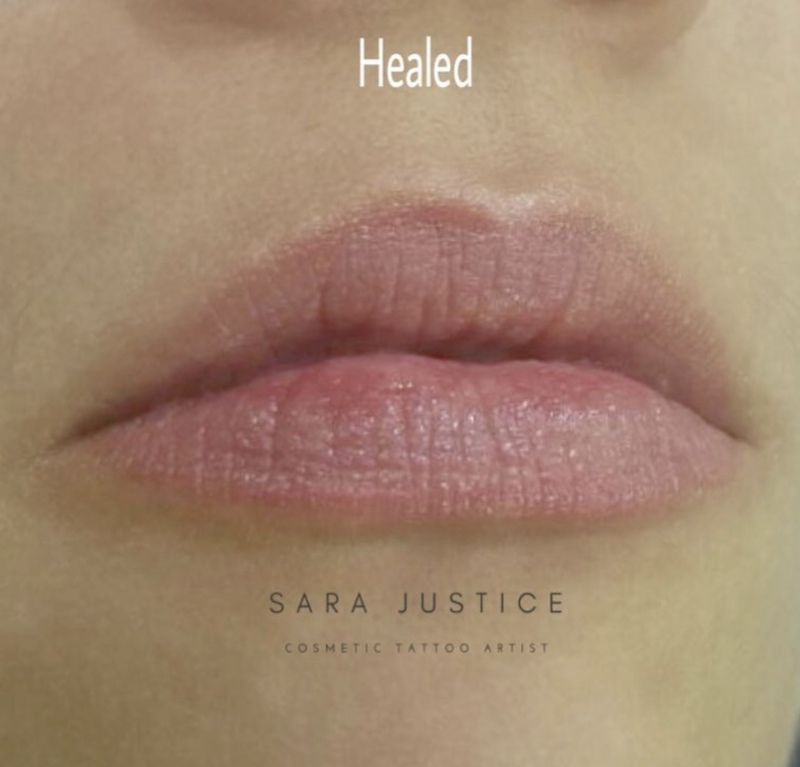 Our bodies produce collagen when tattooed, making your lips appear fuller. 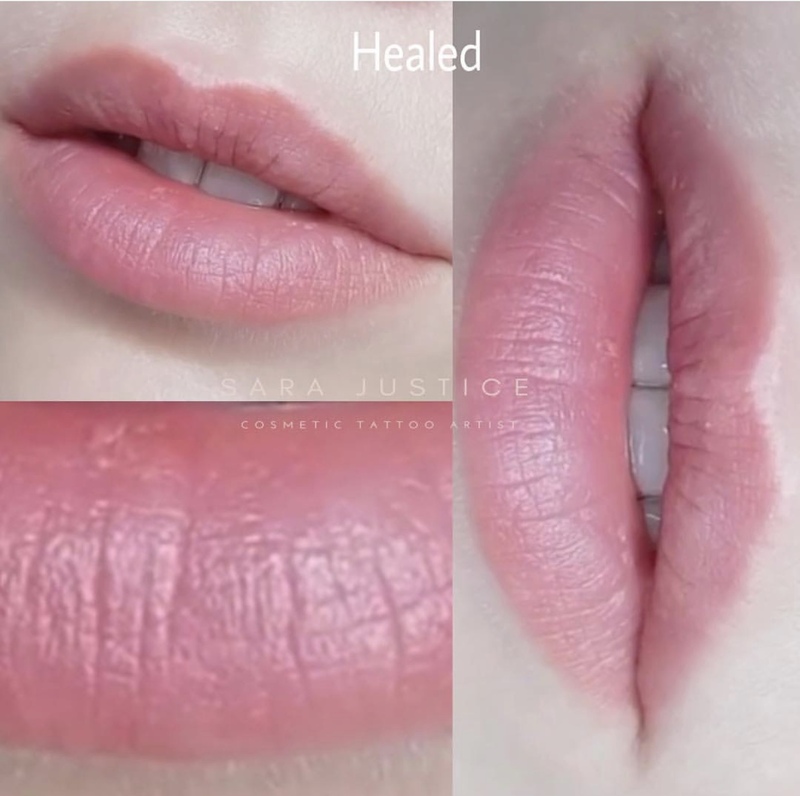 Your lips will never have looked more beautiful.